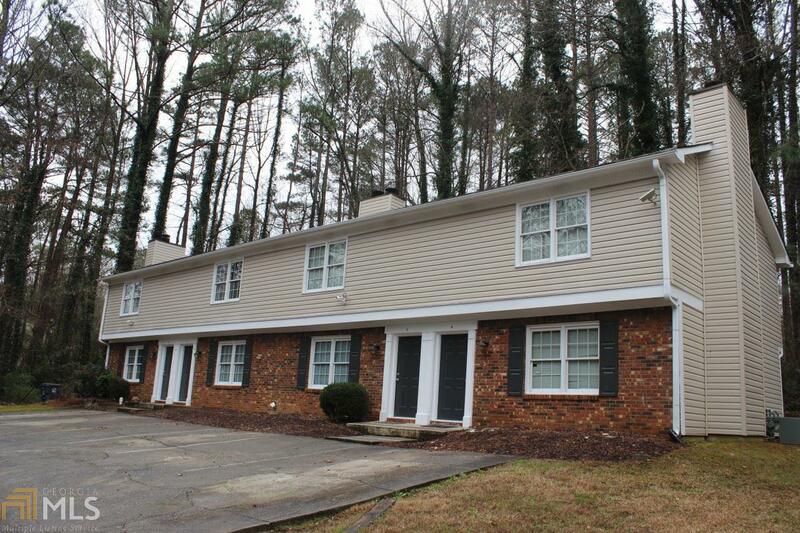 Spacious Quadplex in a great location off Pleasant Hill. Quiet wooded lot. Recently renovated in 2009: new glass-top stoves, refridgerators, dishwashers, built in microwaves, garbage disposals, stainless steel sinks, counter tops, A/C, water heaters, furnaces, double pane windows, sliding glass doors , siding, roof and security lighting. Wood floors and carpet. Washer/dryer hookup, fireplace in each 2 bed 2.5 bath unit. Private parking, landscaped. Location is convvenient to Pleasant Hill Road and I-85. Minutes away from shopping and restaurants! Directions: From 85 Turn Onto Pleasant Hill Road. A Little Over A Mile Take A Right On Burns Road And In 900 Ft A Right Onto Burnt Creek Dr NW. Property Is The 1st Quad To The Left On Cul De Sac.